This last week has been pretty crazy/stressful/busy. My daughter got baptized on Saturday. That means the whole week was dedicated to cleaning my house so that it doesn’t look like people live here so we could have the lunch-in here afterwards. I really can’t complain though. The day went beautifully and I chose to do things the easy way by doing sandwiches instead of completely catering everything. I did make these sticky buns the night before though, cause being that baking is one of my great loves, I had to have something homemade. I’m happy to say, they didn’t last long. So I decided to dress things up a bit and fill the center of the rolls with cream cheese. I just have to say, when your spreading the cream cheese cinnamon mixture on the inside of the rolls, you gotta taste test it. I seriously am going to come up with a fruit dip recipe of just the cinnamon and cream cheese mixture. It’s so scrumptious. But to my satisfaction, I did not find the bottoms of the rolls left unconsumed! Yay!! Now time to relax thanks to having work off for the holiday 🙂 Enjoy! 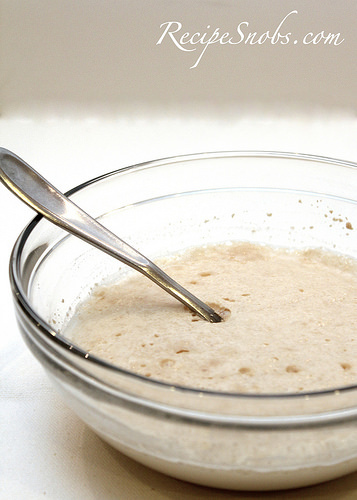 In a small bowl combine warm milk, sugar and yeast. Set aside until mixture starts foaming, about 10 minutes. 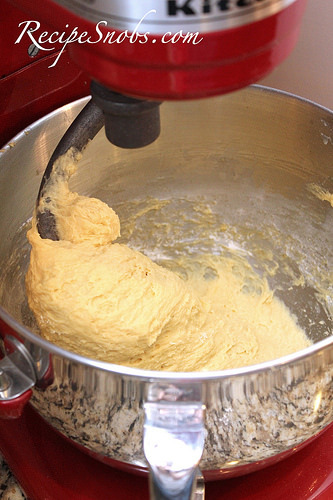 In a large mixing bowl mix together water, vanilla, eggs, and butter. Butter will stay clumpy. Add yeast mixture. Add 3 cups flour to mixture. Mix well. Switch to kneading attachment. Add remaining 1 1/2 cups flour. 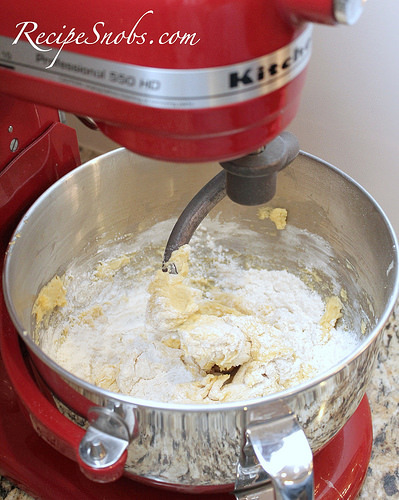 Kneed on medium speed until dough is an even consistency, about 2 minutes, or about 5 to 8 minutes by hand. Dough will still be a little sticky. Set aside and let dough rest for about 15 minutes. While dough is resting make first batch of caramel topping by adding butter, vanilla, brown sugar, honey, corn syrup, and water in a medium saucepan. Cook on medium heat until mixture comes to a boil. Boil for 15 seconds and then take off heat. Pour caramel into a 9×13 inch pan that has been sprayed with cooking spray and lined with parchment paper. Top caramel with chopped pecans. Set aside. 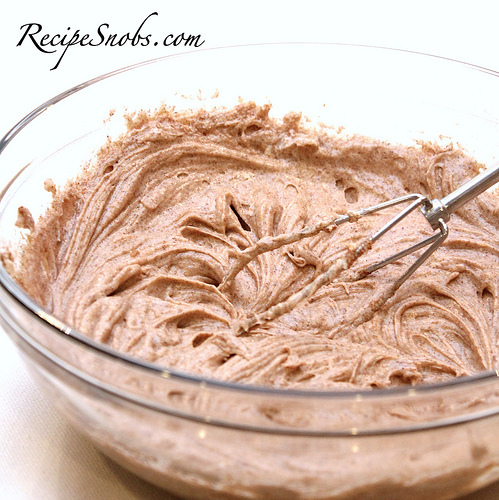 In a small bowl mix all filling ingredients until smooth. Set aside. 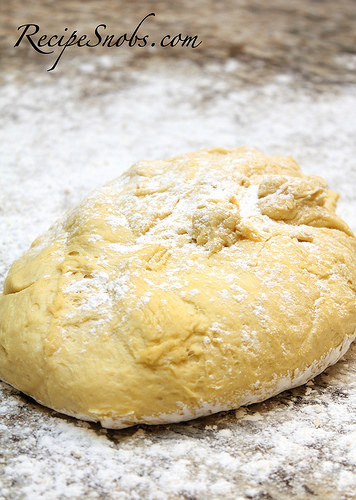 Roll dough out on a floured surface until it reaches about 18” by 14”. 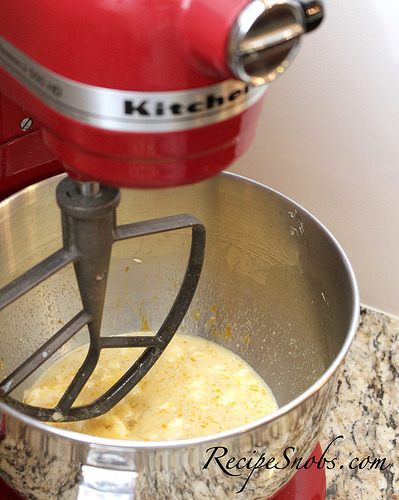 Spread cream cheese mixture evenly onto dough keeping about 1/2 inch away from sides. 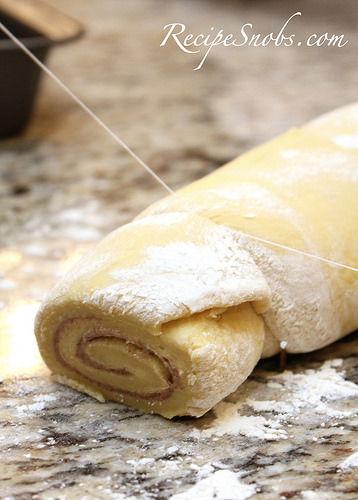 Roll dough onto itself, starting from the short side, until filling is completely concealed inside the roll. Using non-flavored dental floss, rap floss around dough about every 1 1/2 inches. Overlap floss and pull to cut dough completely through. Place dough rolls over pecan caramel layer. You want rolls to be lightly touching, but not crowded. Cover and let rise in a warm area until rolls have doubled in size, about an hour. Preheat oven to 350 degrees. Uncover rolls and bake for 30 to 35 minutes until golden brown on top. Let rolls sit until pan is still very warm but can be handled, about 5 minutes. Run a knife along the inside of the pan to separate any sticky areas. Flip pan over onto a clean surface, so rolls are now upside down. Pull 9×13 inch pan off of rolls. Scoop any pecan caramel mixture out of pan and reapply to top of rolls. In a medium saucepan make second batch of caramel topping by adding butter, vanilla, brown sugar, honey, and corn syrup (do not add water or pecans to this batch of caramel). Bring to a boil over medium heat and boil for about 60 seconds stirring consistently. Pour over rolls. Serve.